Gardman Poppy Cast Iron Bird Feeder Dish depicts our nations patriotic crimson red flower as an attractive centre-piece for your garden and borders, whilst offering a safe food site for wild birds. 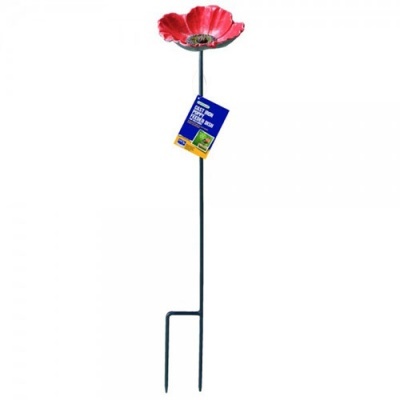 Poppy Flower head is mounted on top of a 70cm rust-proof strong stem stabilised by a two-prong ground spike for easy placement in soil, border or lawn positions. 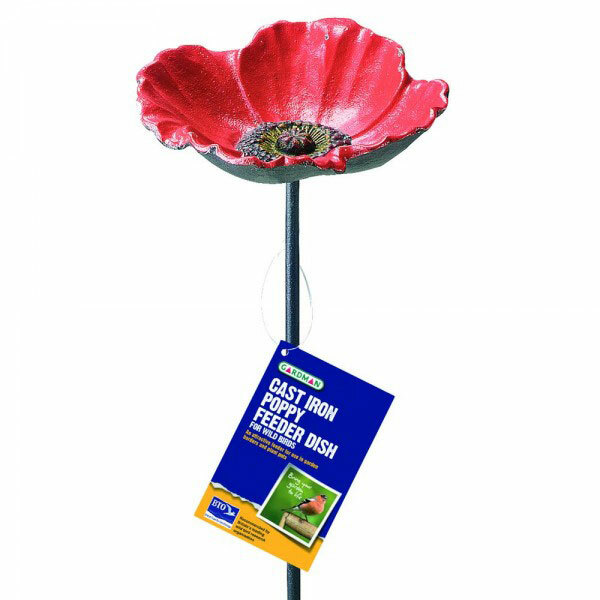 Flower head is shaped to hold bird feed - diameter 17cm.